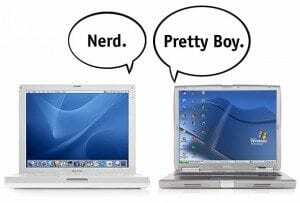 This post is not to add fuel to the big overall debate of Mac vs. PC. It’s to explore it in only one area, that of writing. Also, it will not be conclusive. Why? There’s no “write” answer. There is a right answer for you, but your choice may not be the same as someone else’s. We’re going to evaluate the first step in the process of choosing the write software by looking at the primary machine options. 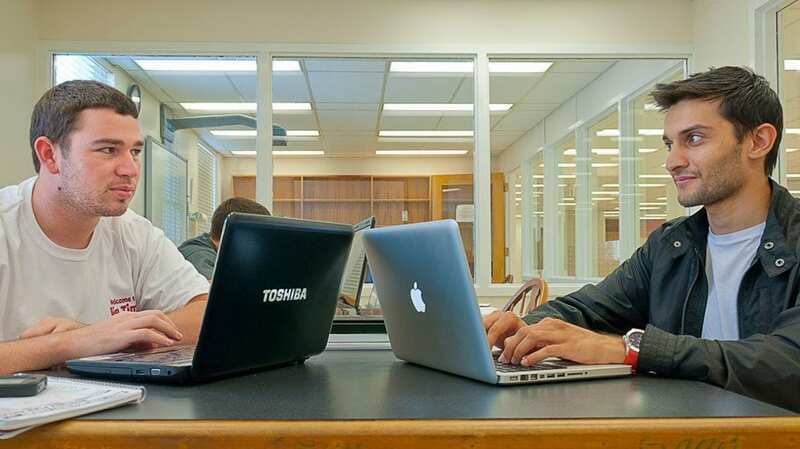 Affordability: Mac’s are more expensive than PC’s when it comes to initial investment. However, as far as long term viability is concerned, Mac’s tend to last longer. They are upgradeable, but so are PC’s. Another debate for another post: Mobile vs. Desktop determines which machine will work best for you. What else you want to do with your machine, and what kind of writing do you do? Do you need video capability? Graphics? Programming? What markets do you write for? Also which platform is best depends on what kind of software you want to run: Pages or Microsoft Word, Scrivener or other “writer specific” software, all of which we will look at over time. The bottom line on affordability is this: if you already own a PC, switching to Mac will be costly. Die hard Mac fans will tell you that once you make the switch, you won’t go back to PC ever. So conversely, if you already own a Mac, including an iPhone, iPad, or other iDevices, switching to PC can be costly, and you can experience compatibility issues, but more on that in a moment. If however you are relatively new to the computer world, and you don’t already own software licenses and exclusive hardware, you have to look at your short term budget, long term budget, and what you think your future needs might be. One final note that may sway you the Mac direction: Mac can run Windows in a couple of different ways. I won’t get into the tech details here, other than to say it can be done, so all of your programs could transfer. If you are determined to make the switch, this can be a way to solve some issues. Another note is that you may not need anti-virus programs with Mac, although they are still a good idea, especially if you run Windows in some form on your machine. There just aren’t as many viruses written for Mac, primarily because government agencies and companies tend to run PC, and those people are better targets for hackers. Learnability: How easy is each system to learn? I recently when through this debate, and here is the bottom line. The new Mac Operating System (currently Maverick 10.9 released this month) is very similar to the previous OS. It is fairly easy to adapt. The converse? Every time Microsoft updates an OS there comes with a learning curve and countless updates as they fix things they did not fix before the initial release. Apple tends to sort those things out ahead of time. Other than that, most programs are written to be fairly intuitive. My word of caution: there are some programs that you need to spend time with before you truly become familiar with them. Spend an afternoon or morning on tutorials. If nothing else, they will teach you shortcuts and tricks you would not otherwise learn. Either machine can be learned, and the more tech-savvy you are, the easier adapting will be. 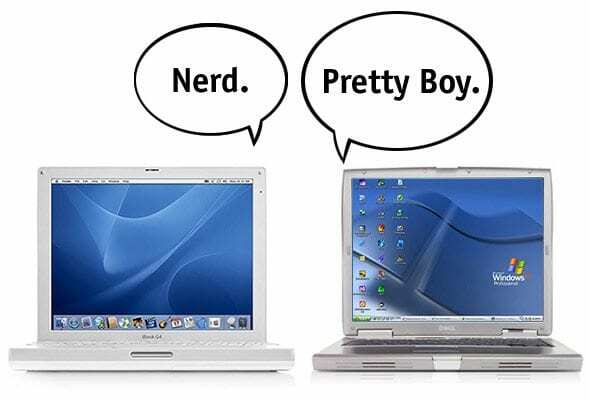 Mac is much more consistent than PC, and its operating systems are fairly intuitive. Compatibility: This was the number one decision point for me, because of the other things I do, and who my clients are for certain products. Yes, you can run Windows and most Microsoft programs on Mac, but if you work in a dedicated PC environment, there are some file types that do not translate. You need to use different formatting for portable hard drives and thumb drives to be compatible. If it is just you, and you run all Mac products, you will fare well. If you work with publishers and editors on a regular basis, you will still need Microsoft Office, at least Word. There are solutions for this dilemma, but remember, only 19% of people run Apple, and most businesses run PC. This means some of the features in Pages may not be compatible with Word, and advanced features commonly used like Comments and Track Changes may not translate. This simply means you must either by the Mac version of Office, or run Windows on your Mac. There are other program compatibility issues as well, and we will tackle those in later software posts. This is one of the longer posts in the series. So what’s the bottom line? Depending on what else you do with your machine, and what others in your household run, you may want to stick with either Mac or PC. Also if you already own software and other compatible devices, you may want to also consider that. Your short term budget may determine what you buy. Shop around, make hands on comparisons, and if you have questions feel free to leave them in the comments, or contact me here.